In 1990, Choreographer and Dancer Alberto of Colombia created ZUMBA dance fitness program which involves dance and aerobic exercises using upbeat Latin music together with different types of cardiovascular exercises. 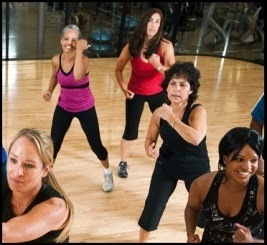 Zumba means to move fast and have fun. It's very easy to learn. Now a days it is became more popular as 15 million people take this classes across the world. But is Zumba Good for Weight Loss? If you enjoy dance with music and like to try querky and energetic moves, zumba can help you to improve your better fitness.Now zumba dancing for fitness became the celebrity's latest workout trend as so many hollywood and bollywood celebrities like Jenifer Lopez, Kristey Alley, Jackie Chan doing these classes as part of their regualr workout. So why not you?Watch out this video to learn easy steps .